Tech brands are always among the busiest pranksters! It's the first day of the fourth month of the year! You know what that means: Pranksters are now on overdrive doing what they do best! Welcome to April Fools' Day 2015! If you haven't been pranked yet, take a look at the Internet and you'll see a couple of "news items" that will probably make you question what's wrong with this world. And you'll also discover that tech companies are among the busiest culprits in this pulling-your-leg-athon. 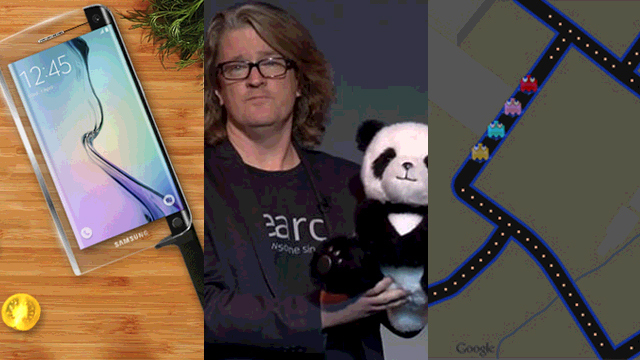 Below are five of this year's creatively geeky April Fools' Day jokes. Read on and, before you get lost in the seemingly awesomeness of the ideas you'll encounter, remember that all these are just a bunch of bull. Don't be surprised if you suddenly find your Google Maps view infested by four ghosts and a ton of pellets; it's just the Big G's way of putting some April Fools' flavor into your mundane virtual navigation chores. You could play it, too! Just click on the Pac-Man icon on the bottom left part of the screen when you're on desktop mode to get chompin'. Smartphones today are becoming more and more razor-thin, but can they slice? Nope? Well, that's because it's not the all-new superphone Samsung BLADE edge! It does all the regular smartphone-y stuff as well as chop your meat and veggies, thanks to its super sharp diamond edge. It also has a human blood sensor because accidents are bound to happen when you're using it. Ground-breaking! After you've seen Motorola's super classy selfie stick, you'll probably think, "Wow, mine looks crappy as heck!" Made with exquisite craftsmanship, Moto's take on the humble monopod will give more gentlemanly swag to your self-glorification needs. Now grow a beard to complete the look! Breaking news, people! According to local tech blog Yugatech, Cherry Mobile will buy BlackBerry for an estimated P33.7 billion. Whoa! CM's gettin' really aggressive, huh? After the deal has been consummated, the Pinoy handset maker will be renamed Cherry Berry. How creative! Because being cute is always a plus, here's Google's new project: Google Panda!